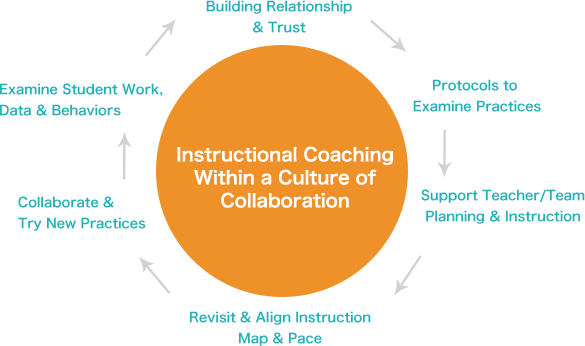 Instructional Coaches play many different roles. They are teacher leaders, change agents and facilitators. Instructional coaches work directly with teachers in their schools and classrooms to assist with the application of new knowledge and skills necessary to improve the academic performance of all students. At CEP, we focus our one-on-one support for coaches and school leaders on evidence-based strategies and an instructional coaching process with the goals of increasing student engagement, improving student achievement and building teacher capacity in schools. Our coaching mirrors how teachers work with students. For example, coaches first must build relationships, just as teachers work to build relationships with students. The coaching work, whether with a new teacher, a veteran teacher or a group of teachers will always center on the bottom line, Closing The Achievement Gap.